I’ve said it before, and I’ll say it again: for many people, the iPhone has taken the place of dedicated digital cameras. Go out, and you’ll see more people using iPhones (or tablets) to take photos and videos compared to digital cameras. But making an entire film using the iPhone 5S is a totally different story. Not to mention the fact that the film has the distinction of being a huge hit at the Sundance festival. Yes, Tangerine, a Sundance hit, was shot using an iPhone 5S. One could say that many people do that everyday – use their iPhones to take videos, but is it Sundance material? Making it to the festival is not easy. Making it big even harder. And using an iPhone 5S? Really? Naturally, the team had to make use of certain apps to film the movie. 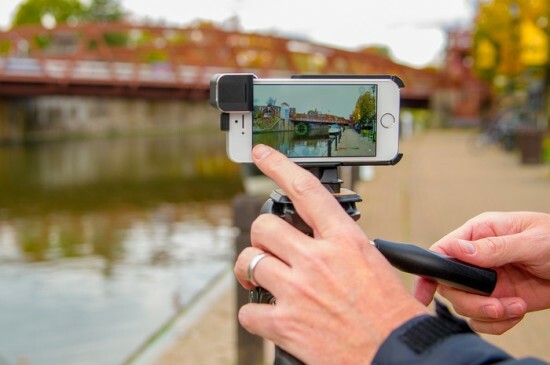 There’s Filmic Pro, which gives you “all the features of a video camera”. And it costs $8. They also had to use a Steadicam to counteract those hands which inevitably get shaky, what with the iPhone being so light. Then there are the lenses: “anamorphic adapter lenses” made by Moondog Labs. And, of course, they had to do some post-editing. Inspired to create your own movie yet? Here’s something you need to know. The use of the iPhone 5S aside, Tangerine is a movie we probably should watch. It’s about transgender prostitutes haunting the streets of Hollywood – the not-so-good parts, mind you. The characters are supposed to be funny yet tough, who won’t take crap from anyone. That’s enough to get me curious.